When Semana Santa (Holy Week) rolls around in March or April each year, streets throughout the South of Spain, and especially Sevilla, go through a major transformation. No longer are they filled with Spanish men and women out doing their daily shopping or children kicking a soccer ball back and forth. Instead, you’ll find slow-moving somber processions winding their way through the city complete with big floats (called pasos in Spanish) carrying heavy statues, brass bands and a long line of other participants.These processions mark the celebration of Semana Santa, a weeklong festival where pasos overtake the streets, the smell of incense fills the air and every single person in Seville basically lives in the street. The history behind Semana Santa in Seville is a simple one. 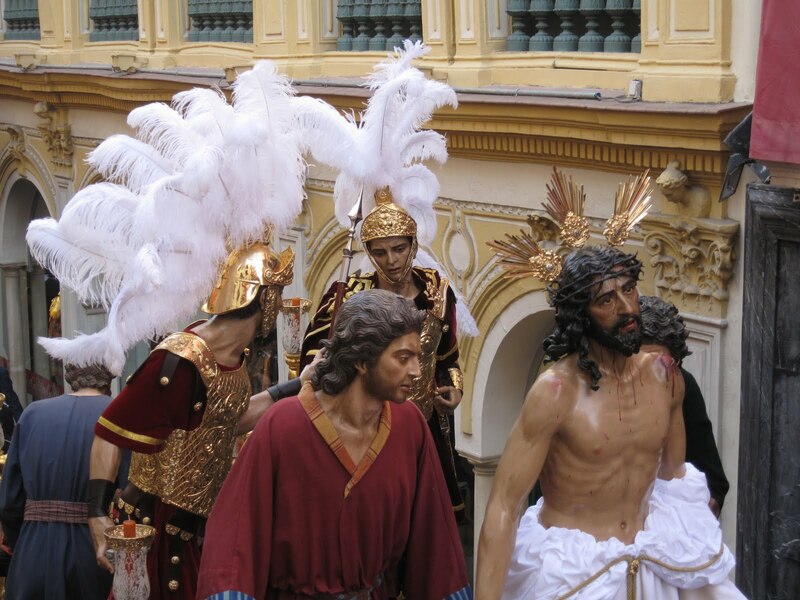 With obvious religious roots, the processions depict the stations of Christ, which are artistic interpretations of Christ carrying the crucifix to his death. These stations can be seen in most Catholic churches as paintings on the wall, but the Semana Santa processions in Seville, which are organized by various religious brotherhoods, bring the story to life. Huge statues are created depicting these stations, and they are placed on large wooden floats. Men train year-round to be able to carry these floats by simply supporting the heavy structure on their shoulders. Slowly and in synchronized steps, the men carry the paso forward. Behind the pasos, there is a large brass band playing typical music from Semana Santa, as well as various other groups of people carrying incense, wearing traditional garb and adding to the grandiose processions.Apart from the religious ties to this celebration in Seville, there’s something else you should know about Semana Santa. It’s a big show for the local residents, and it’s an occasion to get fancy. Locals dress in their finest attire, and actually many people buy a new outfit or two for the week. There isn’t a hair out of place or a wrinkle to be seen – this is a moment for Sevillanos to shine, be seen in the street and have fun. Dress to impress, and you’ll fit right in with the locals. Because Semana Santa is such an important festival in Seville, the streets are absolutely packed. 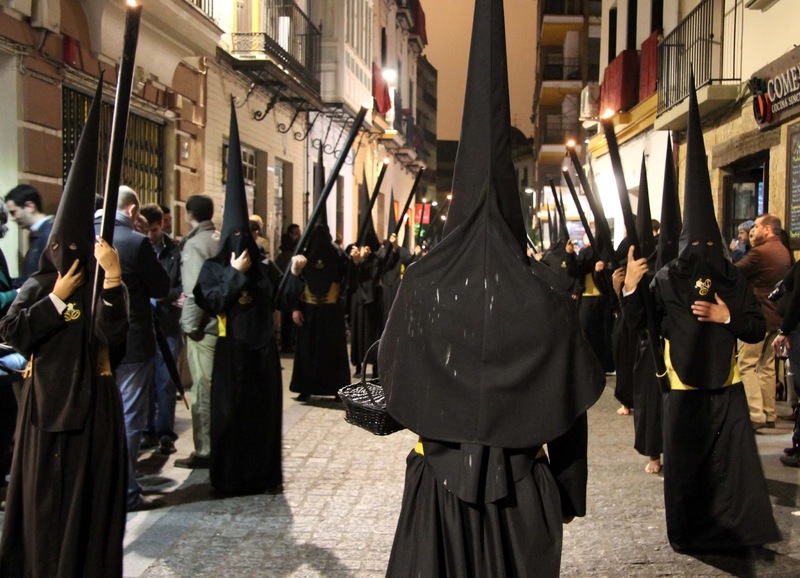 If you’ve never witnessed Semana Santa before, you might even be a little jostled by the crowds, and that’s exactly why Andalucia Inside is here. We’ll help you get the best view of the processions while not having to suffer through the crowds or brave the narrow streets. You can count on us to guide you through a Semana Santa experience you’ll never forget, complete with exquisite views and insider information. 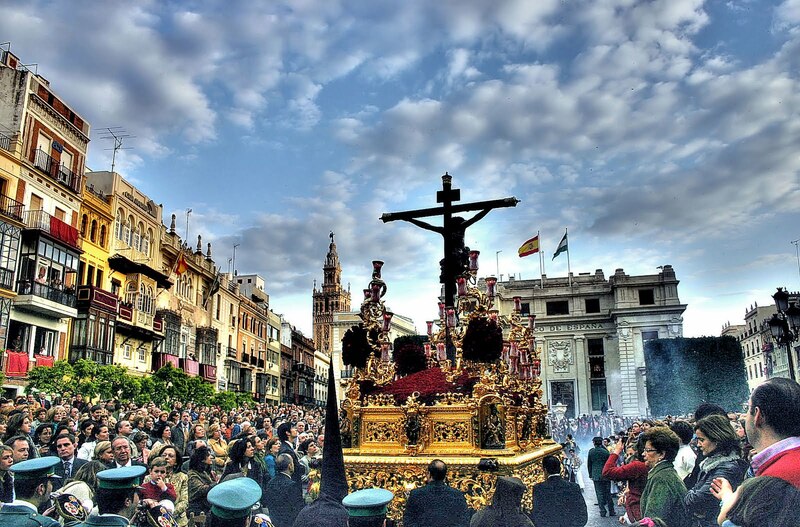 Semana Santa in Seville simply can’t be missed –it’s a true window into the South of Spain’s culture and history, and when you pair that along with our travel experts and their insider tips, you’ll be left with both a memory and an experience you won’t be forgetting anytime soon.